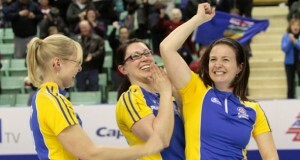 Red Deer, Alberta – Heather Nedohin, skip of Team Alberta and winner of the 2012 Scotties Tournament of Hearts was declared winner of the Sandra Schmirler MVP Award during the closing ceremonies in Red Deer. 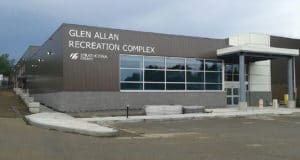 The Award is named in honour of the late Saskatchewan skip who won three Canadian and World titles and the Gold medal at the 1998 Winter Olympics. It recognizes outstanding play during the playoffs. The Shot of the Week Award was also presented. This Award goes to the curler judged to have made the most outstanding shot during the entire championship. This year’s winner is BC third Sasha Carter. The shot happened during the Page 1 versus 2 game. 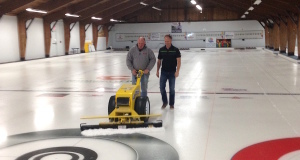 In the 8th end BC had last rock and was leading Manitoba by a score of 5-4. When Carter went to deliver her first shot of the end, Manitoba was sitting shot stone buried on the button. Sasha made a long double raise double that removed the Manitoba shot and third shot stones leaving BC sitting buried behind a long guard. BC went on to win the game and earned a bye to today’s final where they lost to Team Alberta 7-6. First and Second All Star teams were announced earlier with Team Manitoba claiming all of the spots on the first Team. The two teams were selected based solely on their statistics during round robin play. Leading the stats on the first All Star team was lead Dawn Askin (89%), second Jill Officer (83%), third Kaitlyn Lawes (85%) and Jennifer Jones at skip (83%). The Second All Star team included three Alberta team members; Beth Iskiw at third (84%), Jessica Mair at second (83%) and lead Laine Peters (87%). At skip was BC’s Kelly Scott (78%). 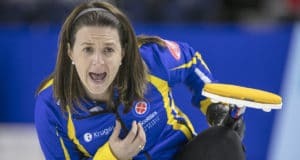 The Joan Mead Builder’s Award went to Olympic Silver medalist, Cheryl Bernard who has competed in four Scotties Tournament of Hearts. This Award recognizes significant contribution to the growth and development of women’s curling in Canada. The Award is named in honour of the late Joan Mead, a CBC producer who is credited with many advances in television coverage of the sport. The Marj Mitchell Sportsmanship Award was presented to rookie Amanda Gates who was making her first appearance at the Scotties Tournament of Hearts at lead for Ontario. This cherished Award is selected solely by the curlers and is named in honour of the late Saskatchewan skip who won the first women’s World title for Canada in 1983. Team Alberta will represent Canada at the Ford World Women’s Curling Championship in Lethbridge Alberta, March 17 – 25. 2019 Canadian U-18 championships to be played in Sherwood Park, Alta.